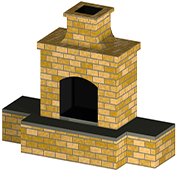 All of our fireplace, pizza oven and grill plans follow a detailed block construction method much like following building instructions for a Lego set. 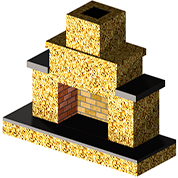 Backyard Flare construction plans are very similar in that they progress one row at a time and give you different views of each row in the form of CAD drawings. 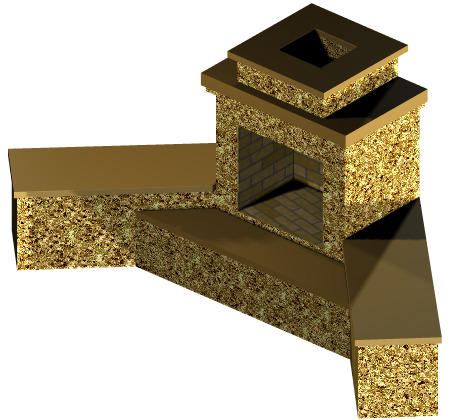 The building of each row is also described in detail with easy to understand instructions. Most plans, depending on complexity, are more than 25 pages in length. 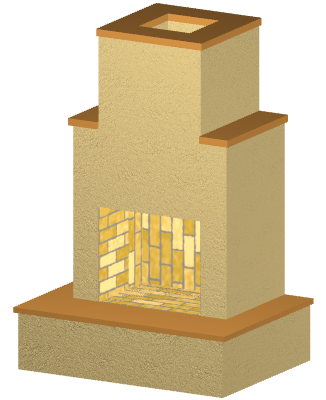 Because most outdoor fireplaces are built for ambiance and not for heating, our fireplaces are designed with no angled fireboxes. 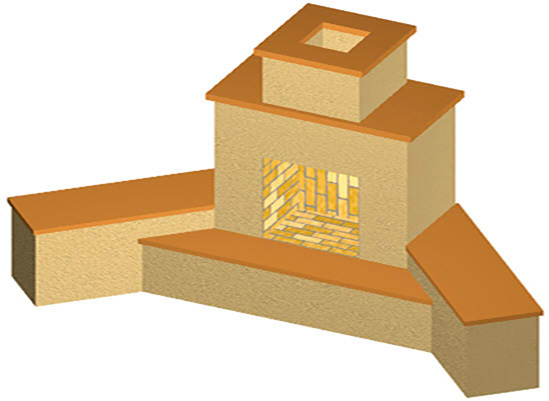 These "angled-wall" fireboxes are commonly referred to as a Rumford design and they were designed primarily as indoor structures with efficiency in radiating and throwing heat. 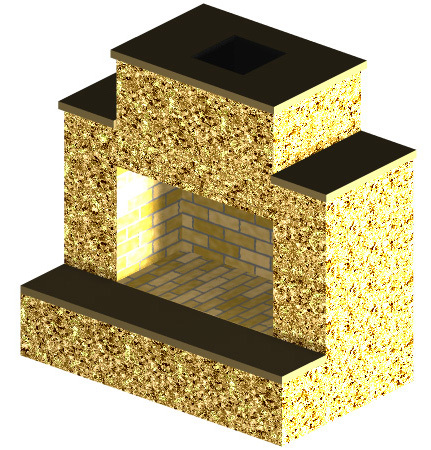 Our square firebox designs maximize the firebox depth which in turn offers more room for larger fire grates and larger fires. 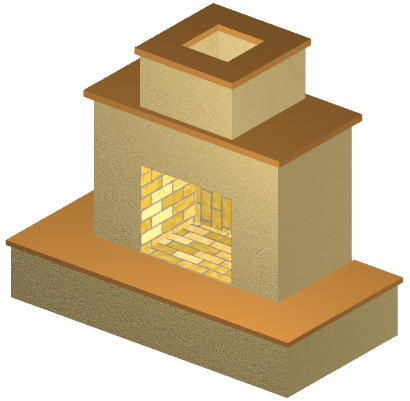 Secondly, the fire grate can be pushed back into the firebox, allowing you to sit directly in front of the fire without feeling like you are sitting too close. 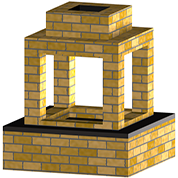 Don't be fooled though about a square firebox design. The heat will still be intense, so be careful. 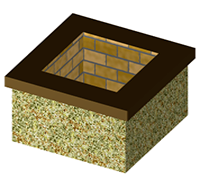 The back wall of our firebox designs are in line with the back wall of the chimney which allows for a very good smoke draw. 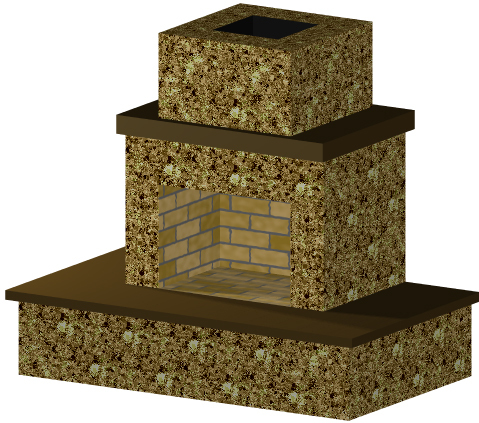 One of the most important reasons for our square firebox design is the simplicity of the build. 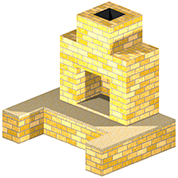 Most homeowners have a limited knowledge of masonry work and we want the fireplace projects to be as easy as possible while still offering a quality design. 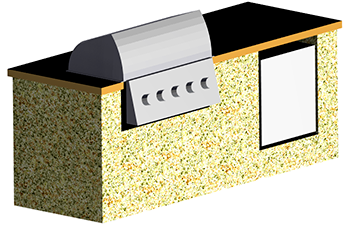 Check out our designs below and click on "Plan Details" button to get more details on that specific design, including the estimated build costs for that design. 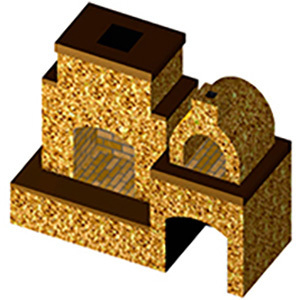 These prices are realistic with respect to the cost associated with the rough build only and are based upon building costs in the Tucson, Arizona area. They are intended to provide you with a realistic cost to build your design and should not be taken as actual building costs in your area. 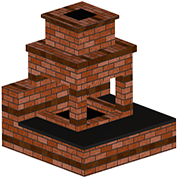 Your actual building cost is dependent on pricing in your area. 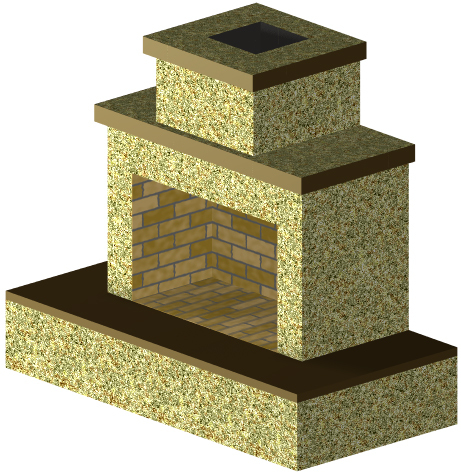 This cost does not reflect the price of a finished outdoor fireplace as the cost will depend on your taste and finishing materials. 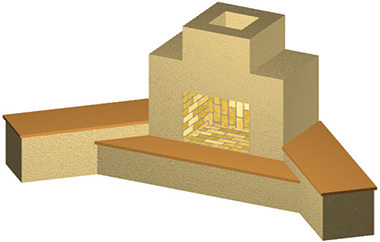 All Fireplace and Grill plans are $39.99, unless modifications are requested. Contact us and let's discuss your design idea. 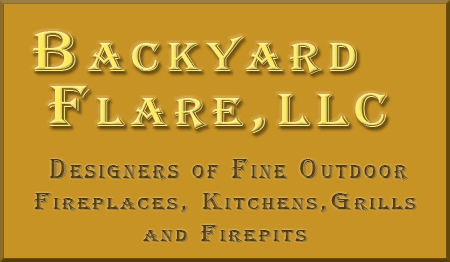 Backyard Flare respects your privacy and we want you to feel secure when you purchase from us. For this reason we have chosen automatic online payment through PAYPAL. 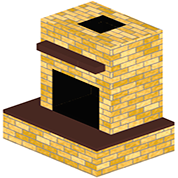 As soon as payment is confirmed, you will receive payment confirmation and your fireplace plan will be sent to you via email. You will receive a .pdf file that you can simply print and bring with you to your worksite. Mark it up and mess it up. You can print a new one! 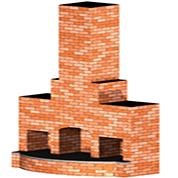 Thank you for your interest in a Backyard Flare outdoor fireplace, pizza oven or grill plan. Your business is greatly appreciated. 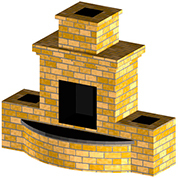 If you want to see additional views of a fireplace design, please do not hesitate to email us with that or any other request. 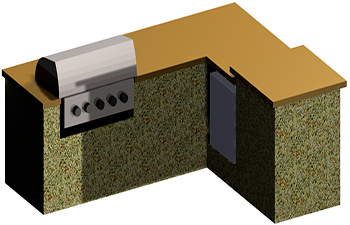 For more about our CAD drawings, click here. Firepit -- 48" x 48"